Welcome to the North Shore Vacation Rental Properties community! This community is different than most in that it is a community of different town homes. These town homes come with 2 or 3 bedroom homes that can comfortable sleep anywhere from 4 -9 guests. These town homes sit right on the bay and give vacationers a chance to experience the beautiful sunset that Sandestin has to offer. 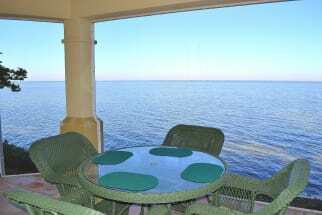 During the day make the short trip over to the beach and sit back and relax as you and your family enjoy the sugary white sands and the crashing waves of The Gulf of Mexico. If you want a fun, entertaining environment for your nightlife be sure to make the short drive on down to the village of Baytowne Wharf where you and your whole family can grab a bite to eat at one of the family fun restaurants. Don't forget to walk around and browse through all of the shops that the village has to offer and pick out a soevenir to remember this beautiful place! When you find your perfect town home with North Shore Vacation Rental Properties on Emerald Coast By Owner, call the owner or send them an email to book your rental directly with the property owner. Booking direct with the owner makes for a more enjoyable booking experience and also assures you are not over paying for your rental!